Making it through a busy work week can be challenging when you are running low on energy and even getting out of bed feels like a full time job. Sometimes you just need a little extra boost to put that pep back in your step, but how do you find it? Dicaffeine Malate is an ionically bonded compound of caffeine and malic acid that Coca Cola originally used as an alternative to the less than savory chemicals found in their original soda. When Coca Cola realized the destructive effects of their fizzy beverages, they wanted to utilize a safer substance with very little negative impact. Dicaffeine Malate was just the source they needed. Studies claim that Dicaffeine Malate is far more effective and easier on the stomach than caffeine . This is because malic acid is able to buffer the salts in caffeine, allowing for easier digestion. It is also thought that the malic acid in this combination helps to replenish the energy produced by caffeine so there is no sudden crash . 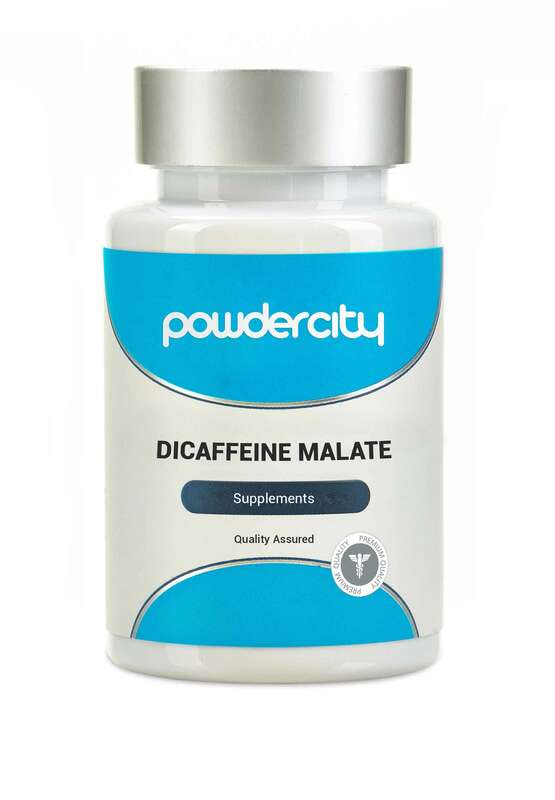 As a stimulant, Dicaffeine Malate offers many of the same benefits of caffeine without adverse effects such as upset stomach and indigestion. Dicaffeine Malate is known to increase energy levels, stimulate thermogenesis, which is important for weight loss, and even improve the ability to focus. Some even claim that adding Dicaffeine Malate to your diet can aid in hunger suppression . These benefits make Dicaffeine Malate a very popular ingredient in many weight loss products, sodas, and energy drinks. Determining the right dosage for Dicaffeine Malate can be tricky, as it is generally offered as an ingredient and not as a stand alone product. That being said, a good starting dosage is 100mg per day.